A motorist has been banned from the road for 18 months at Selkirk Sheriff Court for driving while almost five times the legal alcohol limit. Cameron King, 23, pleaded guilty to driving in March Street, Peebles, on March 24 with a breath-alcohol count of 101 microgrammes, the legal limit being 22. Graham Fraser, prosecuting, said residents there were woken up by the sound of a car colliding with a parked vehicle at 1.40am. Police officers were called out and found an abandoned car with its airbags deployed. King was later tracked down at his mother’s house and confirmed he had been the driver involved. 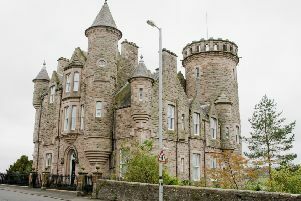 King, a chef, of George Street in Peebles, was fined £350 and banned from the road for 18 months for drink-driving.